Travel back in time and realize your destiny as a businessperson with this 17th-century property. 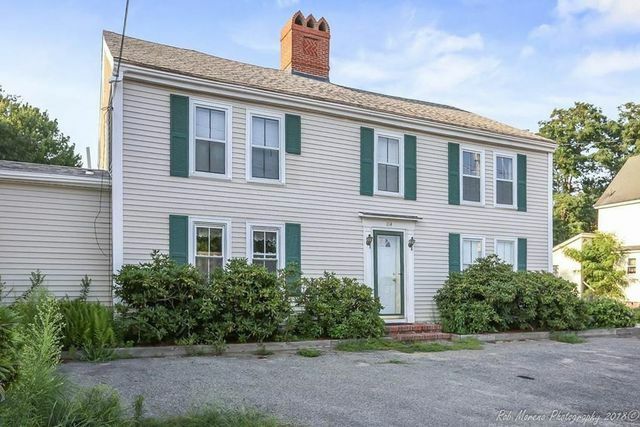 The three-bedroom home in Salisbury, MA, listed for just $600,000, comes with an intriguing opportunity. The home is part of a mixed-use property, which is zoned for commercial use and comes with an additional 1,600-square-foot commercial unit. 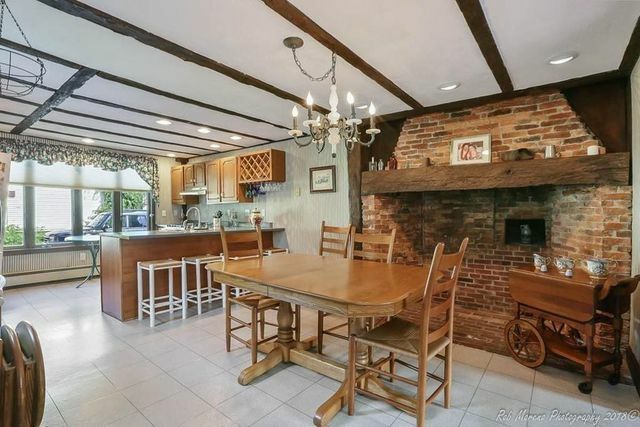 Entrepreneurial-minded buyers shouldn’t overlook the historical home, which was built in 1690. “We are hoping to preserve the character of the house. It’s a landmark in the area,” says listing agent Matthew Blanchette. The current homeowner has spent 65 years in the home. 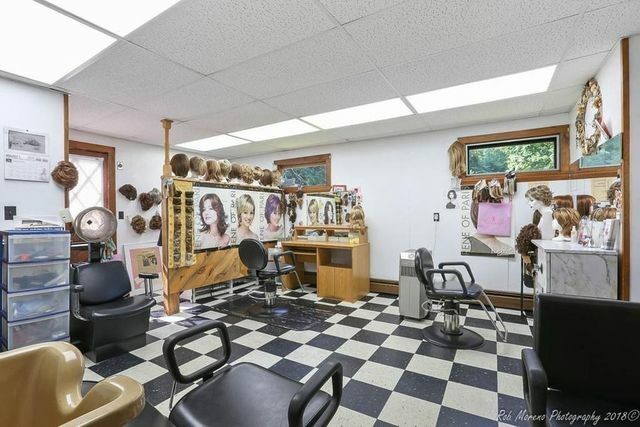 When her husband was diagnosed with cancer, she turned part of the home into a hair salon, where three generations of the family now work making wigs for cancer patients. The homeowner has also researched the history of the house, which was built by the town blacksmith, Richard Hubbard, and his sons. Hubbard left the home and its extensive land parcel (including orchards and barns) to his son Eleazer. Two more generations of Hubbards held the property before it was taken over by the Fitts family. In her will in 1867, Hannah Fitts wrote, “I bear in mind my son William H. Fitts aforesaid to whom I cannot give any part of my property, he already having had more than he ought to have had of his father’s.” Oh snap—that’s drama worthy of reality TV. Currently, the home features an open layout on the first floor, which includes the kitchen, living room, dining room, and a half-bath. The kitchen’s original cooking fireplace with beehive oven remains, and is still functional. The family room boasts a 12-foot fireplace with two beehive ovens of its own. The room also features exposed wood beams, which bear this intriguing phrase: “In the year 1834 we cut two hundred and thirty four cogs of wood.” Also inscribed in the wood are some names, including that of William Fitts. The original timber beam construction is still in place, along with lime mortar in the joints and horsehair plaster in the parging. “You can see all of the original hand-hewn marks in the lintels and the wood beams across the fireplace,” says Blanchette. On the second floor are the bedrooms, a bathroom, and attic access. Roughly two-thirds of the 1-acre lot is available for development. “There’s a nice wooded backyard providing lots of privacy or potential, whichever you want,” says Blanchette. The property abuts a rail trail, part of a larger network of running trails in the area. 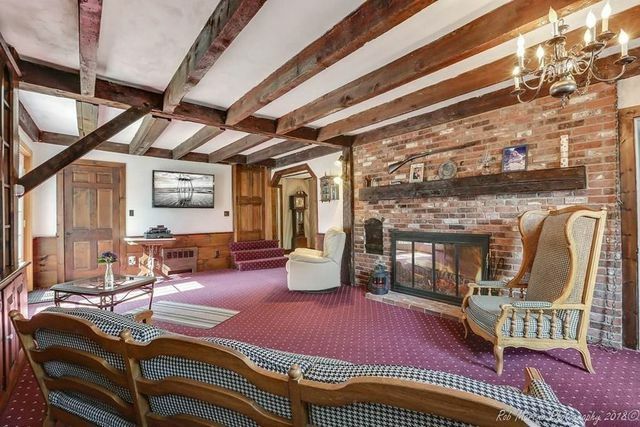 The post Built in the 1690s, This Historical Massachusetts Home Comes With a Hair Salon appeared first on Real Estate News & Insights | realtor.com®.